The Mentor Ice Breakers will battle the red-hot Carolina Thunderbirds in a three-game set this weekend, starting Friday night in Winston-Salem, North Carolina. The two clubs will play in Carolina again on Saturday before traveling to Mentor to wrap up the series on Sunday afternoon. 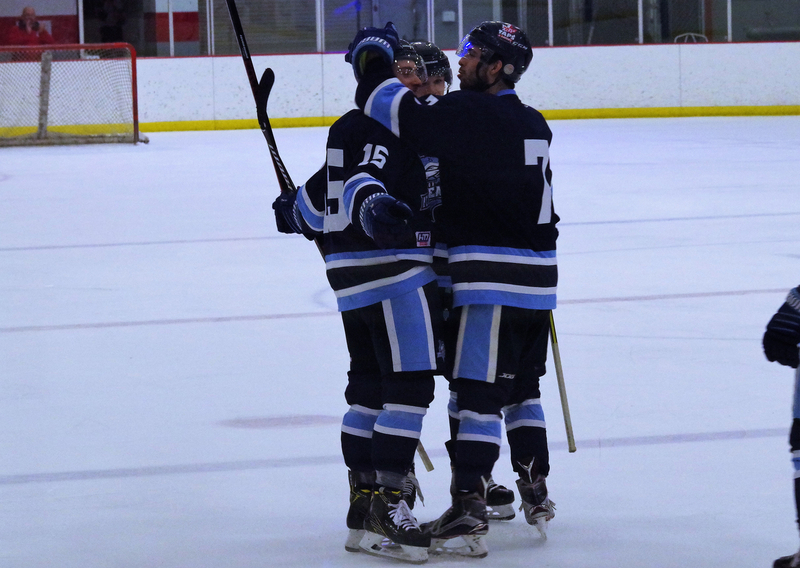 It hasn’t necessarily been a bad couple of weeks for the Ice Breakers, who posted two-game splits with Port Huron and Danville in their most recent series, but they probably feel like they should have picked up more points than they did. The Ice Breakers got off to a slow start and couldn’t recover in a 6-3 loss in Port Huron on January 12 before allowing three goals in a span of 4:41 at home against Danville in a 4-3 overtime loss last Friday. A common theme among the Ice Breakers’ losses this season is a brief lapse in concentration that ends up having severe consequences. As the leader of a young team, head coach Iain Duncan has preached playing a full 60-minute game throughout the season. The Ice Breakers have struggled to put together complete performances on a consistent basis, and it shows in the FHL standings. Still, Mentor has plenty of reasons to think positively as it heads into a difficult matchup against a Carolina squad that is approaching the FHL record for consecutive wins (21, set by two different clubs). Forwards Matt Kadolph (5-4-9 in 11 GP) and Steven Fowler (3-3-6 in 5 GP) are a couple of recent signings who have been instant offensive contributors. Fowler netted his first career hat trick in the Ice Breakers’ 7-2 victory over Danville last Saturday night. Kadolph has provided a strong physical presence with his 6-foot-2, 215-pound frame while averaging nearly a point per game. Forward Nate Farrington stands out as one of the most improved players on the Ice Breakers’ roster. After registering a single point over his first eight games of the season, the Springfield College product has a 4-12-16 scoring line over his last 18 outings. He often stands out as one of the hardest-working players on the ice, so it’s good to see the Massachusetts native being rewarded for his efforts. Gordy Bonnel is currently riding a franchise-record 14-game point streak and has points in 16 of his last 17 games. He has eight goals and 13 assists during the stretch for a total of 21 points. Bonnel didn’t join the Ice Breakers until a couple of weeks into the regular season, but he quickly established himself as one of the most talented offensive players on the roster and a key piece in Mentor’s power play. Dzmitry Daniliuk had only one goal and an assist through his first 21 games with the Ice Breakers, but a four-point series against Danville changed that. Daniliuk, who was signed by the Ice Breakers along with Patrick Porkka after the two came from the now-defunct Berlin Blackjacks of the LNAH, had a goal and three helpers against the Dashers. Goaltender Derek Moser had a great series last weekend, stopping 44 of the 47 shots he saw after entering the game early in the second period on Friday and getting the starting nod on Saturday. Moser has a 3.88/.892 slash line with three shutouts. The former Iowa State Cyclone was forced into a workhorse role earlier in the season, but the signing of netminder John Sellie-Hanson has allowed Moser to get some additional rest. By just about any statistical measurement, Carolina has dominated the FHL this season. The Thunderbirds are riding high with a franchise-record 17-game win streak that began on November 30. Carolina has outscored its opponents by a staggering 71 goals and holds a 29-point lead atop the FHL standings. The Ice Breakers were the last team to beat Carolina when they topped the T-Birds 3-0 on the road on November 24. Since then, the Thunderbirds have had few competitive games as they’ve taken down every team in their path. Last weekend, Carolina played one of the most complete games you’ll ever see from a team when it dominated Watertown in a 9-0 win at home. While the current Ice Breakers roster is much different than it was in November, Mentor remains the only team to beat Carolina in a series this season. The Ice Breakers took two of three games against the T-Birds prior to their winning streak. Carolina has a 4-2-0-0 record against the Ice Breakers compared to a ridiculous 22-1-0-1 mark against the rest of the league. If Mentor plays like it did in its most recent series against Carolina, none of this weekend’s games will be competitive. The Ice Breakers were out-scored 13-1 over a two-game set December 28-29. Both games were marred by long delays and a high number of penalties. For the sake of both sides, hopefully this weekend’s contests focus more on the games at hand and less on extracurriculars. The Ice Breakers and Thunderbirds are first and second in the FHL, respectively, in penalty minutes, thanks largely to the all-out brawls that have occurred when the two teams match up. Mentor and Carolina combined for 212 PIMs in a game in mid-November before racking up 189 penalty minutes in a late-December battle. Goaltender Christian Pavlas has returned from a brief SPHL call-up, which isn’t good news for the rest of the FHL. Pavlas has a 15-1-0 record to go along with a 1.54/.940 line over 17 appearances. He has racked up four shutouts this season and leads the league in all major categories. Pavlas has made life miserable for Thunderbirds’ opponents and, at just 22 years old, has a bright future ahead of him. Carolina has several players who stand out such as Jan Salak (11-29-40), player-assistant Josh Pietrantonio (12-25-37), Jiri Pargac (15-18-33), and Chase Fallis (18-18-32), but their trademark this season has been depth. Only four skaters on Carolina’s active roster have not registered double-digit points, and two of those players have appeared in fewer than 10 games. In order to pick up some points weekend, the Ice Breakers are going to have to bring their absolute best. Mentor has had mixed results against Carolina, but to take down the current Thunderbirds roster, the Ice Breakers will need to play complete, 60-minute games. Even a brief lapse could put the game out of reach against the Thunderbirds’ top-ranked defense, which allows only 1.90 goals per game. Danville has finally hired a new head coach, allowing interim player-coach Dustin Henning to settle back into his role as a veteran defenseman. Rod Davidson, who has coached professional hockey for four seasons at various levels but has been out of the pro game since 2003, was hired by the team on Tuesday. Davidson will be looking to turn around a Danville franchise that has a 2-17-1-0 record since jumping to the top of the FHL standings through the first few weeks of the season. The Dashers’ new bench boss will make his debut this weekend as Danville takes on Port Huron in a three-game series. Meanwhile, Elmira has established itself as the second-best team in the FHL. The Enforcers have won five consecutive games and 10 of their last 12, including a dominant sweep of Port Huron last weekend in which the Enforcers outscored the Prowlers 15-6. Elmira will play in-state rival Watertown this weekend in a home-and-home series. Next weekend, the Ice Breakers will face off with Elmira on the road twice – part of a stretch in which five of six Mentor games will be in enemy territory. Mentor will take on Port Huron February 8-9, kicking things off in Michigan before returning to Northeast Ohio for finish out the two-game set.